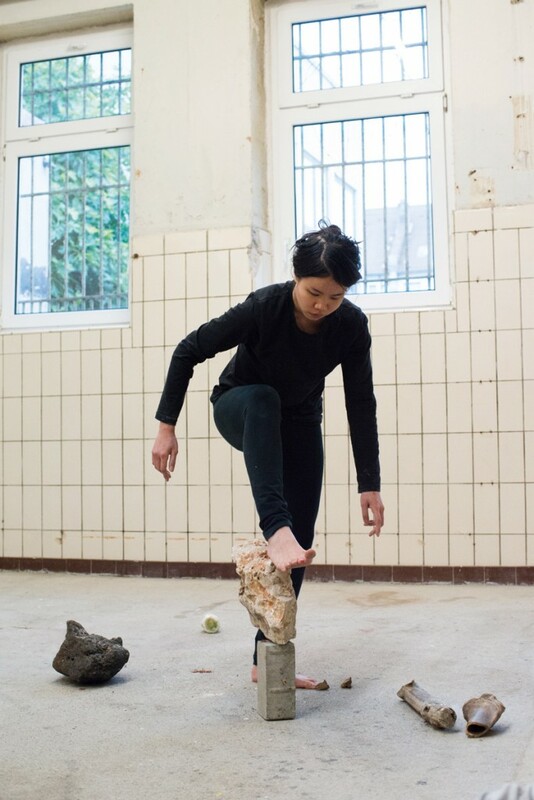 Participated artists: Hori Izhaki, Jade Montserrat, Manuel López, Mario Montoya, Sikarnt Skoolisariyaporn, Marita Bullmann, Lisa Bauer-Zhao, Anne Hoffmann, Shabu Mwangi, Rolf Hinterecker, Boris Nieslony, Sara Hasenbrink, Irmgard Himstedt, Michael Barrett. 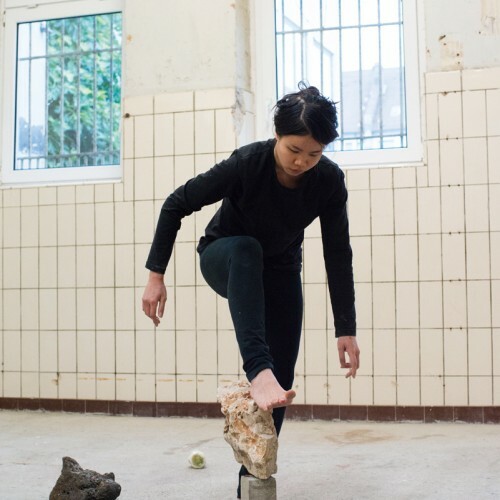 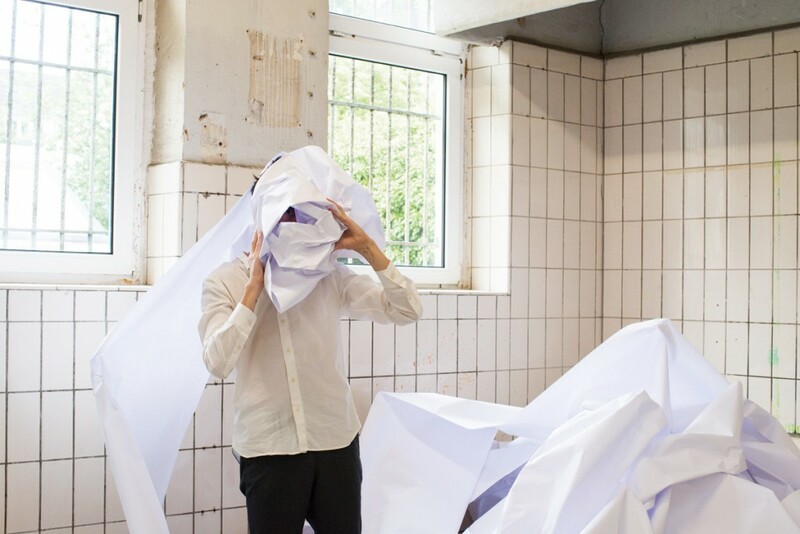 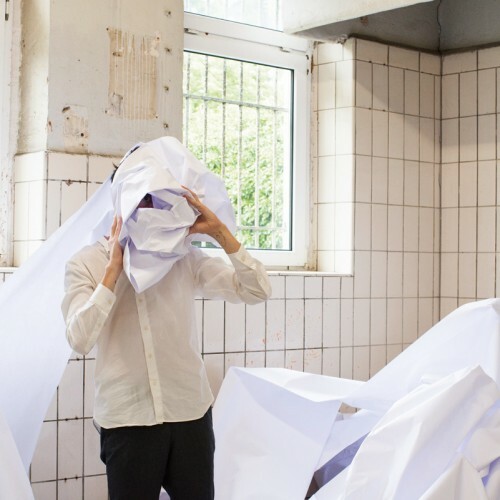 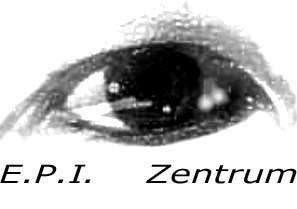 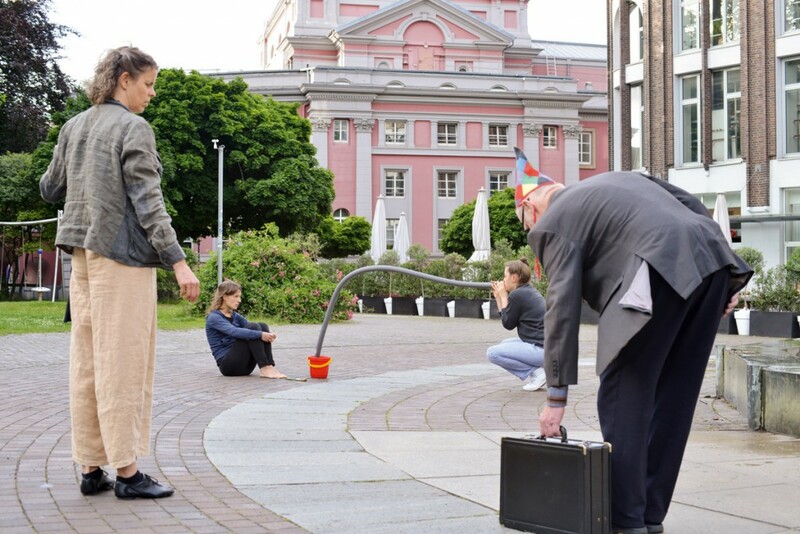 Guest artists get the chance to work with PAErsche performers outdoor near the city of Essen and present solo performances in indoor exhibition space. 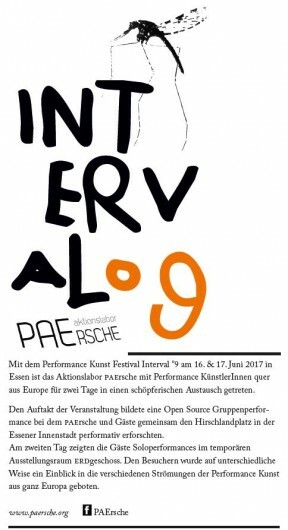 “With the performance festival Interval °9 on the 16th & 17th June 2017 in Essen Germany the action laboratory PAErsche entered a creative exchange with performance artists from around europe for two days. 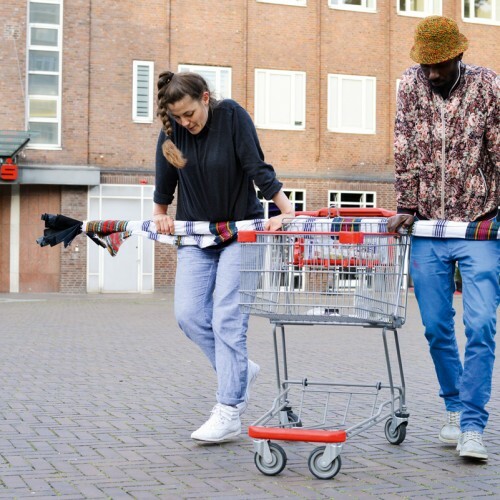 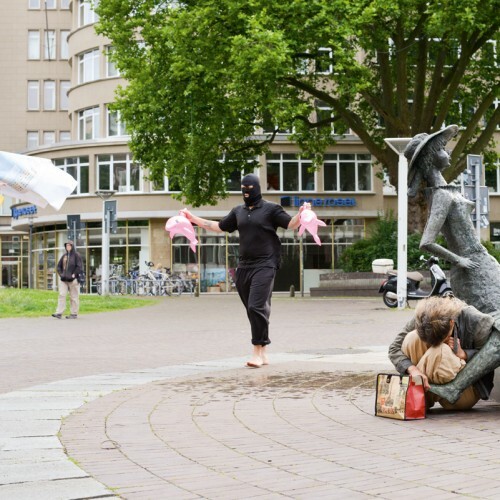 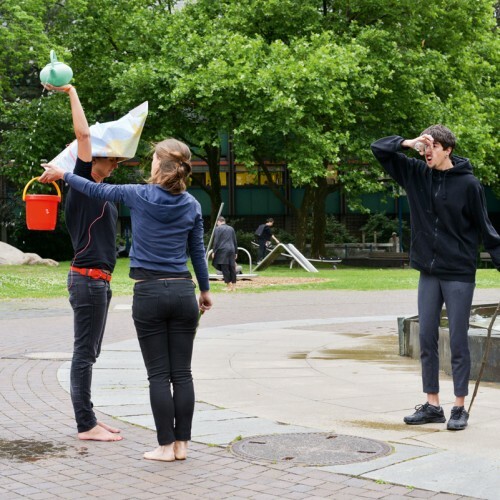 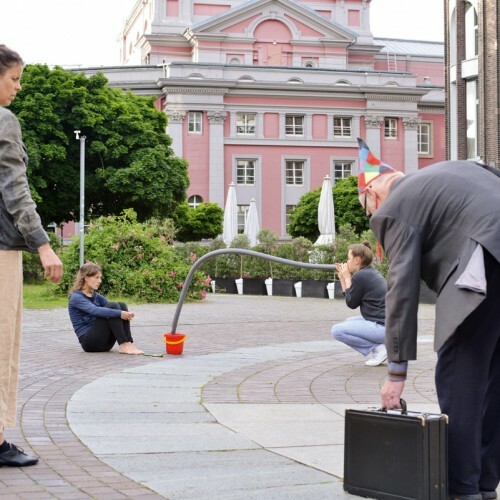 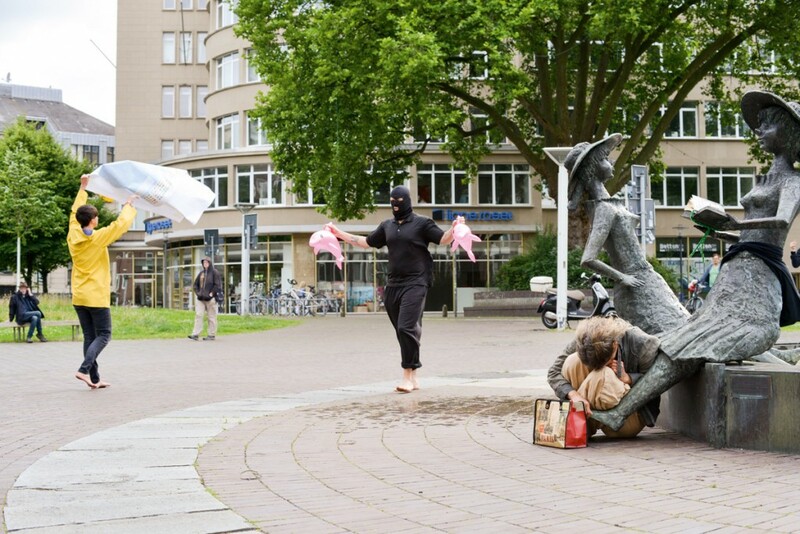 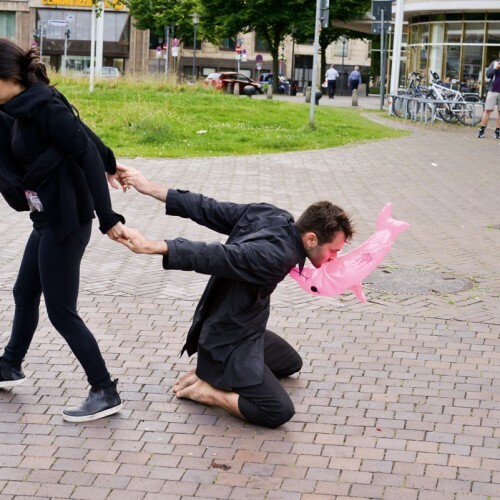 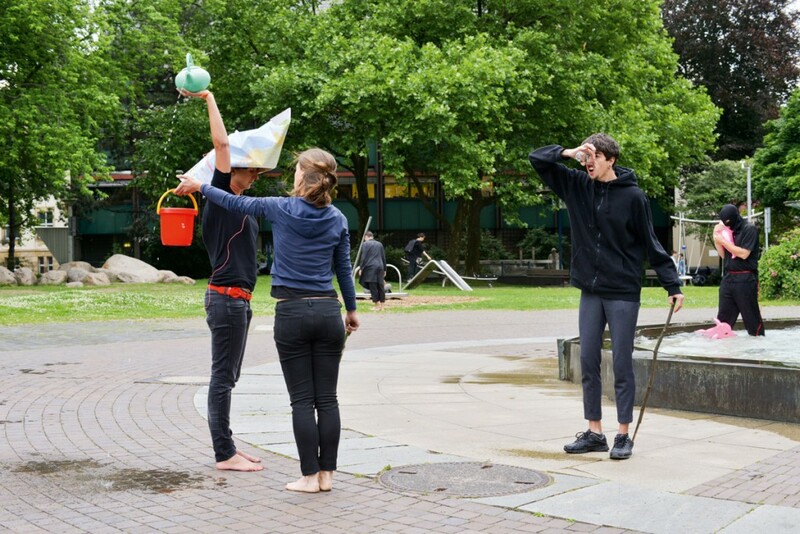 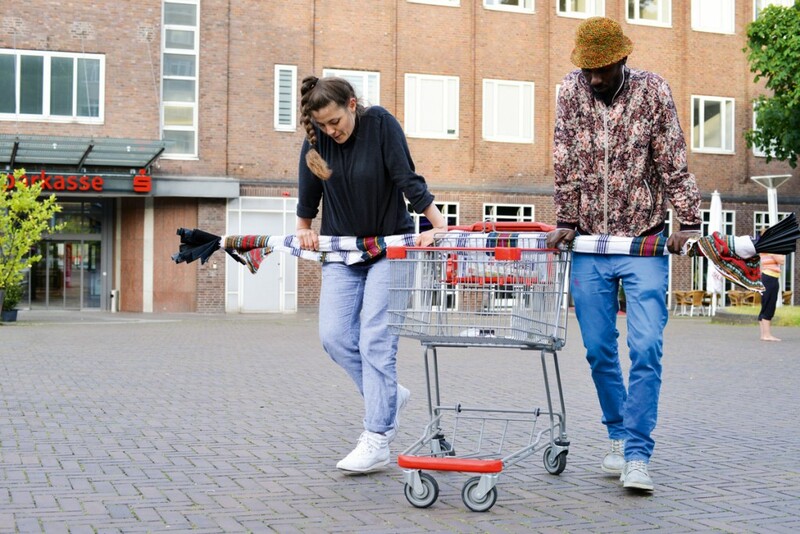 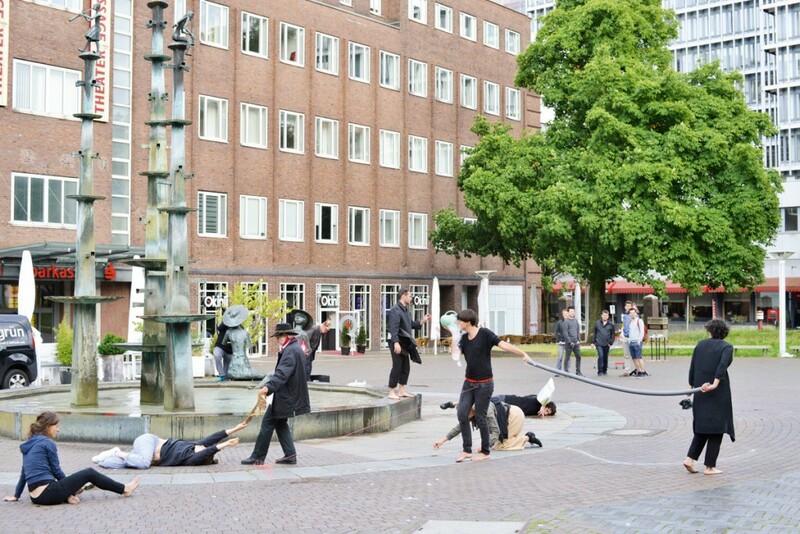 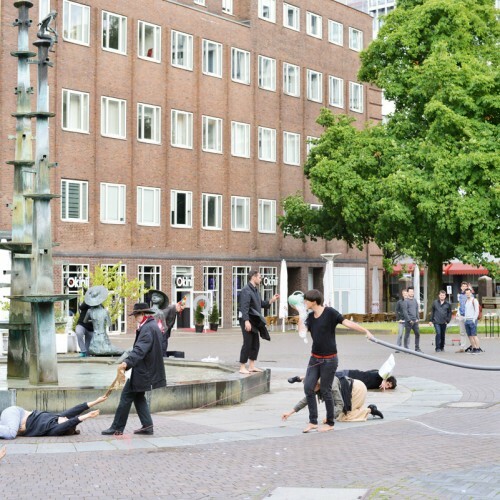 The event began with an Open Source Performance in which PAErsche and the invited artists explored performatively the Hirschlandplatz in the center of Essen. 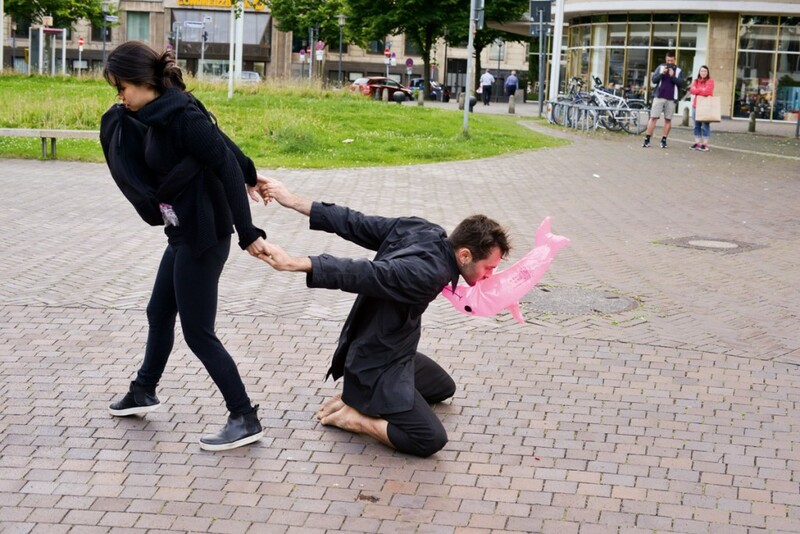 Supported by the Ministerium für Familie, Kinder, Jugend, Kultur und Sport NRW (MFKJKS), Kulturbüro Essen, Hotel Luise and Weinzeche Essen.